Plugs into standard 120 volt, 60 hz, 20 amp outlet. Best if used on single circuit. Has wheels for easy transport. 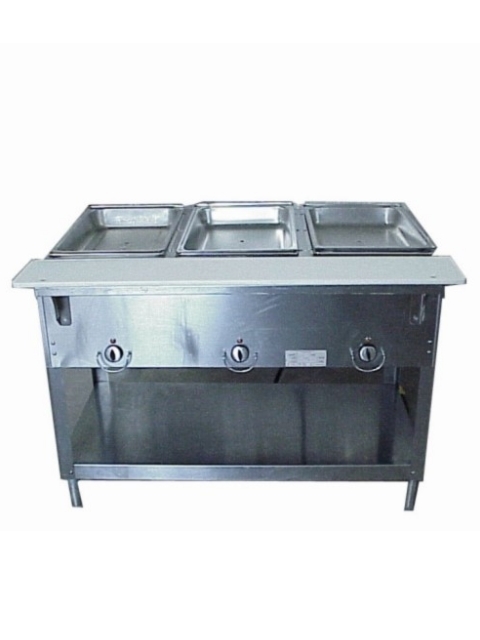 * Please call us for any questions on our steam table 3 unit kit rentals in Kent WA, serving the Greater Puget Sound area.